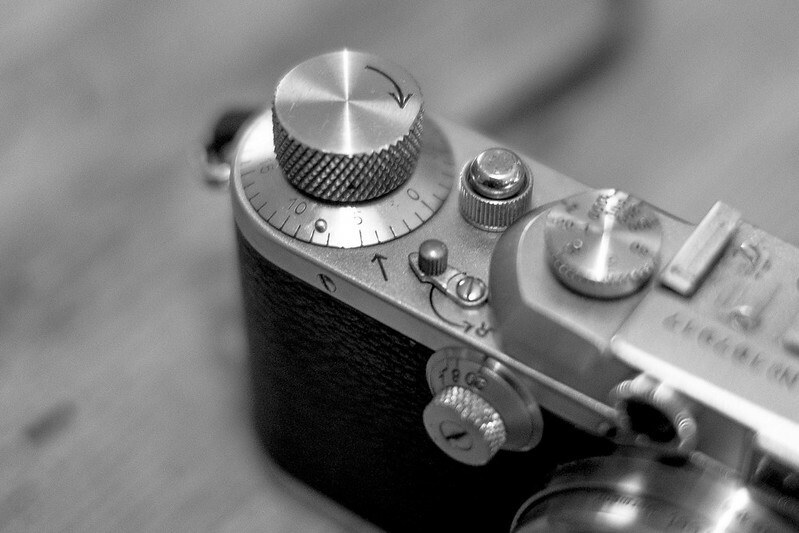 For the uninitiated, a “Barnack” Leica is a general term for the older style pre m-mount Leica cameras. These older cameras were initially fixed lens cameras but were soon equipped with a 39mm screw mount. They are known as Barnacks after the chap who designed them, a man named Oskar Barnack. I don’t claim to know a great deal on the specifics or the history of the events that surround Barnack’s designs, inventions and motivations, and the more I read online the less I feel I know for certain. A few nuggets of information do keep cropping up though. (And do bare in mind this is my interpretation of what I have read, if you want to know more, do some reading :)) The first is that Barnack had been working to create a small camera to run short runs of movie film for the growing movie industry. These cameras were for the purpose of testing exposure for shoots. He was also interested in stills photography but through ill health was unable to carry the heavy larger format cameras of the day out in the field. It seems his experience with 35mm movie film cameras, combined with this desire to shoot and carry a camera wherever the wished without the usual weight, were at least some of the main components in the path toward his stills camera designs. He took the 18×24 fame size of movie film and doubled it to 24x36mm. This gave a negative, that combined with the quality lenses of his employer, Leitz, gave a good enough quality basis for enlargement to a final print size. 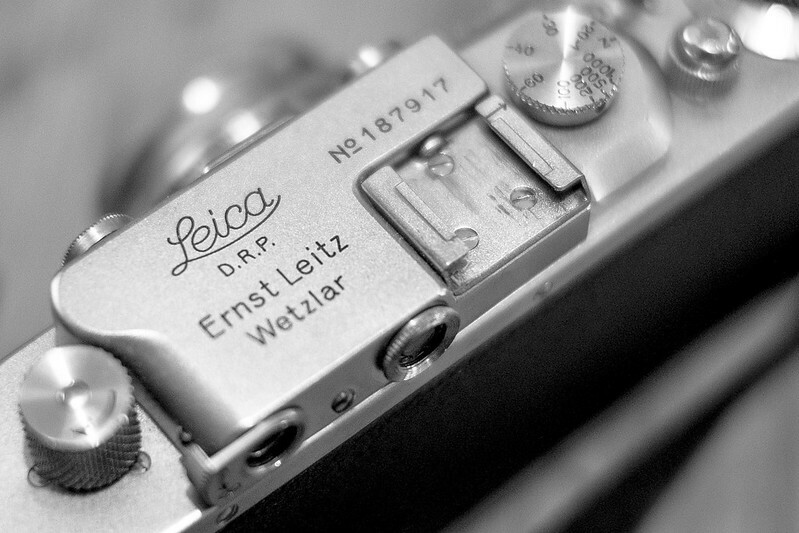 His early designs proved very popular, and as such the Leica (leitz camera) was born. Kodak soon introduced a the 135 format film and the popularity of the format and the idea of enlarging a photo from a small negative started to grow fairly quickly. 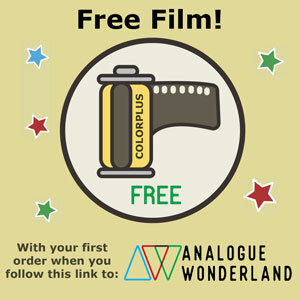 It’s safe to say that Barnack paid an undoubtedly large part in the popularisation of 35mm film and the use of the 24x36mm format. He was responsible for the birth of the 35mm stills camera and in many people’s eyes is therefore the “father of 35mm photography”. Which considering the popularity of 35mm eventually outstretched all other formats by a margin, is quite the achievement! 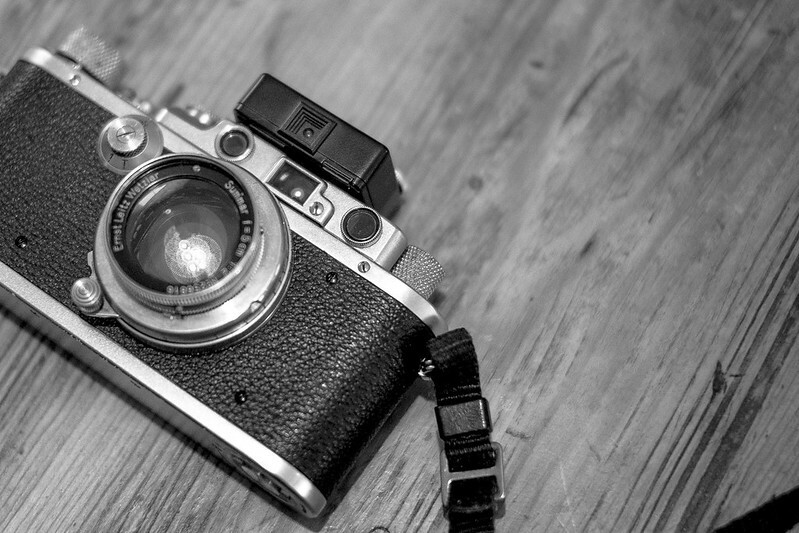 I was, and have been very intrigued to shoot with a Barnack Leica for quite some time. The age of the things and potential for failure concerned me a little so I’ve never quite taken the plunge. I have had the M7 for a while, so the old Leica GAS has been well under control! Then I get an email from a local chap asking how I get such good quality scans and if they are done locally. We get chatting, he’s read a page or two of my blog so knows my interest in compact cameras… Long story short, I had a Ricoh that he wants to have a go with, and he has this Leica iiia. So me and this chap meet up to exchange cameras, only on a loan basis, but there is talk of a more permanent deal should we be a fan of each other’s cameras. Bearing in mind that, as I say, this is the first time I’ve held a Barnack Leica in years, it really was love at first site. The iiia is a fairly early Barnack, it has a screw mounted lens, speeds down to 1sec and it was the first with the higher speeds up to 1/1000th (the standard shutter speed range for Leica’s from then on). Unlike the later models it’s rangefinder and viewfinder are well separated on the back (later models had them next to each other, and eventually, in the iiig they are in the same window (This is incorrect, see comments below)). It also doesn’t have flash sync or a self timer. It’s basically a very simple camera, but beautiful in its simplicity to my mind. I am told it’s slightly, but not much smaller than a the later models too, which brings me to my earlier comment about how small it is. Obviously I have read about Barnack’s motivations to make a small camera, but without the perspective of this knowledge and having one in my hand it didn’t really sink in. I’ve had older rangefinders too, but none that feel so complete, or are so small. 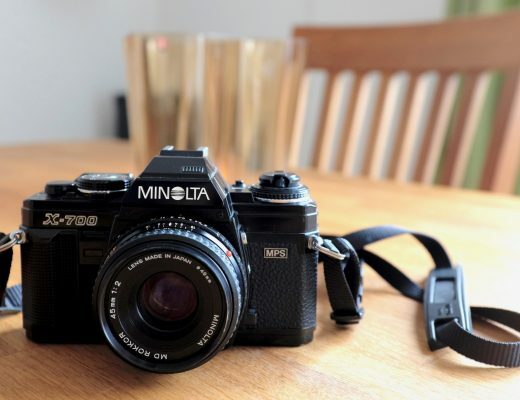 This iiia really is a tiny camera and whilst there are smaller cameras that do more things from more recent years, there are few that I have experienced that feel so much like a finished article. Few that don’t make you wish for this feature or that improvement. I have a thing for products that feel like “perfect design”, what I mean by this is a product that feels like you couldn’t take anything away or add anything else to achieve anything necessarily better. To give an example, the zippo lighter is another perfect design. Yes modern electrical windproof lighters with a torch on one end and a key ring bottle opener on the other are very useful, but they don’t capture this simplicity of design in the same way. There is an undeniable sense of perfection in the simplicity of the design of Zippo lighters, and I think this early Leica captures that same sense of perfection in a more than pleasing way! It’s not to say that both items don’t have their flaws, fill a zippo with to much fuel and spill a bit on the case and risk setting your hand on fire. 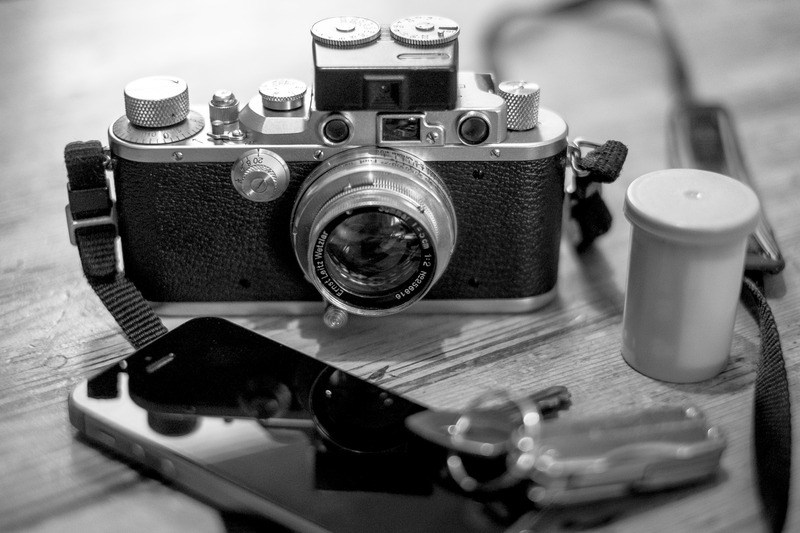 Likewise, I’ve not experienced a Leica rangefinder, Barnack or otherwise, that could be considered easy to load with film. But these foibles somehow don’t detract from the satisfaction of the item when held and used for their primary function. So many cameras were to come after Barnack’s inventions, but it could be argued that a good deal of them didn’t provide “improvements” as such upon the concept! Additional features can merely be seen as extras to aid the uninitiated, attempt to speed up the process of taking photos or allow the camera to be used within more fields of photography. An SLR for example makes for more accurate framing and allows the use of a wide range of lenses without much fuss; but this is at the cost of physical size. Autofocus does arguably increase the potential for faster shooting, but it’s not infallible. A built in light meter and auto exposure probably tick the most boxes for me personally in terms of “improvements” to the concept, but they aren’t a requirement for a camera to function. The list of course could go on for days. The point I am trying to make is that whilst the Barnack Leica’s aren’t necessarily the right choice for every field of photography, for what they are intended, in the right hands, nothing more is actually required. As such, I think Barnack basically nailed the 35mm camera first go (or at least first goes), he set the bar for everything that followed and the fact that even to this day his cameras are so highly prised and actually make a very valid choice for many people’s needs speaks volumes! Until now, due to my specifying that this blog was only the home of compact cameras with a fixed lens, interchangeable lens rangefinders haven’t really had a place here! In hindsight, given the above, and recent realisations on my part, you can probably imagine I feel almost a little silly! 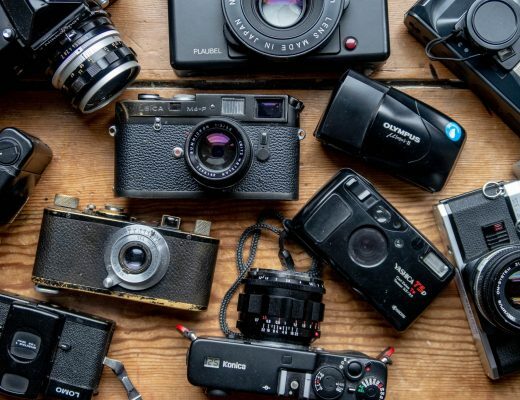 For a blog about 35mm compact cameras to not allow their forefathers; cameras created for the very purpose of being small not to be featured on this site is just ridiculous. So yeah, in summary, I’m opening up the niche of this site to include interchangeable lens rangefinders … how can I possibly not? – the IIIg still has seperate VF and RF windows, just that the viewfinder is (marginally) bigger and has parallax-corrected 50mm and 90mm framelines. – “Additional features can merely be seen as extras to […] allow the camera to be used within more fields of photography.” That’s not quite right. The major rangefinder systems of the Barnack era (Leica and Contax being the prime examples) were complete systems that did EVERYTHING. The idea was basically to keep the body simple, and provide extras to ensure it could fulfill every photographic goal possible. 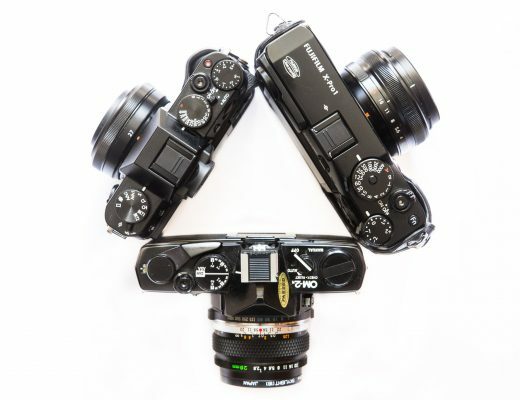 Now, a Leica + Visoflex might not be as convenient as a modern SLR, but it allows you to have a rangefinder for accurate wide-angle focusing and an SLR for accurate telephoto use with the same body. There were also copy stands, microscope mounts, telescope adapters… My personal favourites are the helical-equipped, rangefinder-coupled extension tubes they made for 50mm lenses, which allow you to focus and frame perfectly between 1m and 50cm away. You can effectively have the same capabilities as an SLR but still have a kit that’ll fit into your pocket. One other thing that could be added (about how the Barnack basically created/popularized the use of 35mm film for stills photography) is that it’s often contested. There were some 35mm cameras that came to market between the prototype Ur-Leicas (which predate WWI) and the release of the Leica I. But 35mm as we know it today is entirely down to the Leica – most early 35mm cameras didn’t have the 24×36 frame size, with some notable examples using 24×24 (Robot) or 24×32 (Nikon). And the fact we shoot 36 exposure rolls? The most film you could comfortably and safely fit into the Leica inside a canister was 36 exposures’ worth. The iiig, yes, I thought I’d checked that … but cheers for the correction! On the second point, I take it … But I think you are serving to back up my point! They are additional features. I am talking with reference to my point about “perfect design”. The iiia feels complete without all that other stuff, irrespective of how useful it may or may not be. The extension tube you mention … A NOOKY? On the third point … Agreed, I just didn’t want to get too bogged down in the minutiae! A later camera I know, but oh how I want a Robot Royal! I nearly got Dominik to buy me one a few months back! Ha, Hamish evolves. Nicely done. Even with an Aux 35 VF in the cold shoe it was tiny and solid and smooth use.